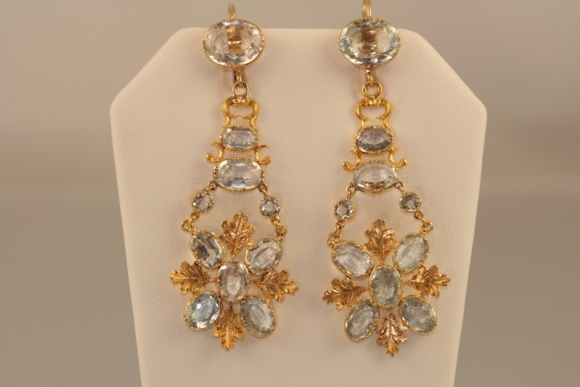 These earrings are rare and stunning! 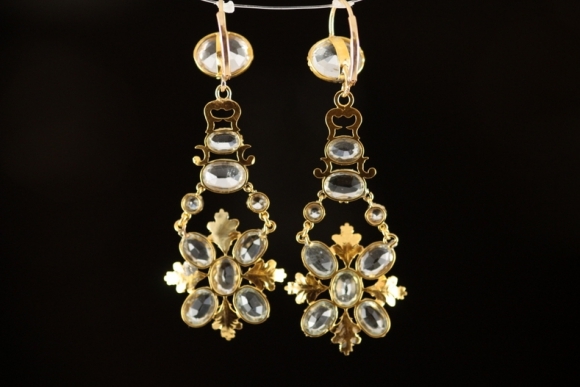 The 14K Victorian drop earrings are set with oval and round faceted aquamarines and ornamented by intricate leaves, hand chasing and scroll work. The twenty aquamarines have a total weight of 11 carats. The earrings have a 2 1/4" drop. The French lever backs are modern. Circa 1860.